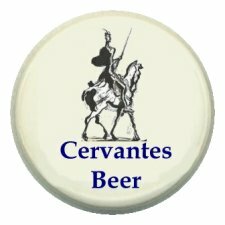 Cervantes Beer is an entirely imaginary alcoholic beverage found only in the novel I-State Lines. 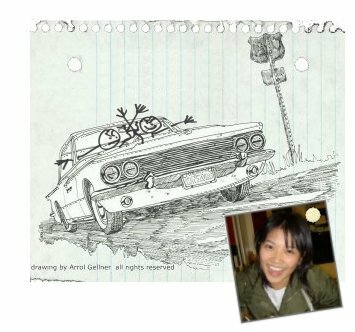 It is the beverage of choice of Daz and Alex, who are cruising around the country in a 1964 Dodge Lancer with a primer-gray fender, going wherever they want, taking odd jobs to make a few gitas, and getting in major-domo griff. Here is a hint: Daz, who loathes all promotion and advertising as much as he loathes status symbols and those insecure souls who need them, does find the Cervantes Beer ads featuring Pancho and the windmills to be quite strat. Once you read the guys' adventures, I think you'll understand why. Although you can't taste an imaginary beer, you can imagine tasting it; so allow me the honor of describing Cervantes. It has a hoppy, full-bodied flavor which reminds some of Stella Artois or Spaten; it's not creamy like Guinness but has a decent head (think Anchor Steam), and a sharp aftertaste much like Kirin (the one you get in Japan, not the watered-down rubbish you get in the U.S.). After a Cervantes or two, you'll be tempted to tilt at some windmills yourself--and you'll enjoy every minute of the quest. Solve Part 1; there is no Part 2. Let Kryptos guide you.